LOS ANGELES, CA (August 22, 2016) – Vancouver-based Sepia Films, Los Angeles-based Just Singer Entertainment and Bella Thorne have announced the start of production on DRINK SLAY LOVE, a television movie based on the popular young adult novel of the same name written by Sarah Beth Durst. The film will air on Lifetime in the US and A&E internationally in early 2017. 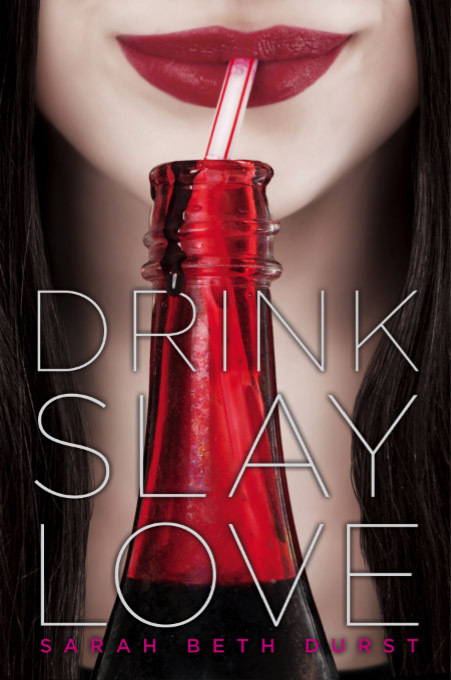 DRINK, SLAY, LOVE stars Cierra Ramirez (“The Fosters”, “Girl in Progress”) as Pearl, Zach Peladeau (“i-Zombie”, “Killer Crush”) as Evan, and Gregg Sulkin (upcoming “Status Update”, ““Pretty Little Liars”), as Jadrien. The film also features a stellar supporting cast including McKaley Miller (“Heart of Dixie”), Angelique Rivera (“American Crime”), Sarah Desjardins (“Van Helsing”), and Jasmine Sky Sarin (PERFECT HIGH) amongst others. The team behind last year’s network hit PERFECT HIGH has reunited on DRINK, SLAY, LOVE. Directed by Vanessa Parise (PERFECT HIGH, JACK AND JILL VS. THE WORLD, KISS THE BRIDE); the movie is executive produced by Sheri Singer of Just Singer Entertainment (PERFECT HIGH, the popular Disney Channel Franchise, “Halloweentown”, and JACKI, ETHAN JOAN: WOMEN OF CAMELOT); and produced by Sepia Films’ Tina Pehme and Kim C. Roberts (PERFECT HIGH, THE GAMES MAKER, Sundance 2015; IN THEIR SKIN, Tribeca 2012; A SHINE OF RAINBOWS, TIFF 2010), with Bella Thorne (the upcoming series “Famous in Love”, AMITYVILLE: THE AWAKENING, PERFECT HIGH, THE DUFF) on board to co-executive produce. Eirene Donohue (LADIES MAN) adapted Durst’s book into the teleplay. Synopsis: Pearl is a typical sixteen-year-old vampire. Fond of blood, allergic to the sun, and generally pretty evil. But after a mysterious attack leaves her able to survive in the daylight, everything changes. Pearl's powerful family soon finds a way to take advantage of her new ability: they send Pearl to high school, to gather fresh young blood for an upcoming feast in honor of the Vampire King. The only problem is that Pearl is starting to grow a conscience. How can she serve up her new friends -- especially the cute guy who makes her fangs ache -- to be slaughtered? Then again, she's definitely dead if she lets her family down. What's a sun-loving vamp to do? Emmy and Peabody Award-winning executive producer Sheri Singer launched Just Singer Entertainment in 2000. The company’s primary focus is developing and producing movies and series for broadcast and cable networks. Singer has produced 29 movies, miniseries, and microseries, including 15 movies for Disney Channel. Two of those films, “Halloweentown,” and “Luck of the Irish” are part of the permanent collection at the Paley Center for Media. As former Vice President of Original Movies at Lifetime, Ms. Singer is credited with developing their original movie franchise in the mid 1990’s. Sepia Films is a multi award winning feature film & television production company specializing in telling relevant and entertaining stories for the global marketplace. Since 2003 Producers Tina Pehme and Kim Roberts have focused on telling great stories across a variety of genres for film and television. Recent television production includes Summer in the City, Perfect High, and the popular Nightmare TV movie franchise. Recent theatrical features include The Games Maker produced with Disney Latin America which debuted at Sundance 2015, In Their Skin Tribeca 2012, A Shine Of Rainbows which premiered at the Toronto International Film Festival and Partition, an epic, period romance shot on location in India. Sepia also specializes in producing theatrical documentaries that focus on bringing awareness to relevant social issues such as 2014’s The Boy from Geita and 2013’s Hue: A Matter of Color amongst others.